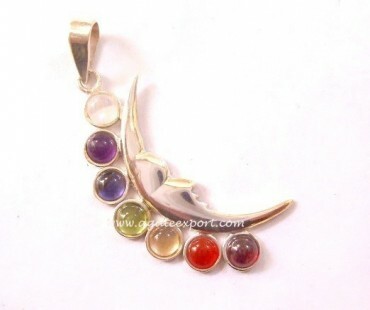 Moon seven chakra pendant is a crescent moon with small seven gemstones, symbolizing seven chakra points. The pendant will enhance compassion and bring love. It will also soothe your mind. Order this lovely, eye-catching pendant on Agate Export.